Dr. Nowillo is a Board-Certified Plastic Surgeon and Reconstructive Microsurgeon specializing in Cosmetic and Reconstructive Surgery. CareMount Medical is proud to announce her as a recipient of the Forty Under Forty Award 2015 as elected by the Dutchess County Chamber of Commerce. She is honored as one of 40 “Rising Stars” who have made a mark in their chosen profession and are making a real difference in our community. Important to Dr. Nowillo's decision in becoming a Plastic Surgeon is the ability to restore form and function to those who are missing this either from birth, or as a result of trauma or cancer. She is also extremely passionate about cosmetic and reconstructive surgery of the breast, especially after partial or total breast removal. In her practice, patients continuously report on their satisfaction and quality of life in order to fully appraise the benefits of their cosmetic and reconstructive breast surgery. Dr. Nowillo’s aesthetic patients can expect the same degree of meticulous attention to detail that the complex surgeries of her reconstructive patients demand. Some particular interests and skills include postbariatric body contouring and facial and body rejuvenation, including non-surgical techniques, and rhinoplasty. Not only is Dr. Nowillo a talented surgeon in the US, but she also has returned to the country of her ancestors for eight years, as a volunteer to serve under-privileged children and families affected with cleft lip, cleft palate, microtia, and burn deformities through a Plastic Surgery medical mission group. 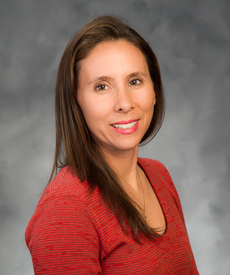 After graduating from the Massachusetts Institute of Technology with undergraduate degrees in Biology and Spanish Literature, Dr. Nowillo completed a Medical Doctorate. She completed her Plastic Surgery Residency at the Long Island Plastic Surgical Group and then completed a competitive specialty Fellowship in Reconstructive Microsurgery at Memorial Sloan-Kettering Cancer Center.